Surfside Beach is a great beach for sunning, walking and playing in the Atlantic Ocean! Surfside Pier was originally built in 1953. It has been rebuilt at least three times. The last time was March, 1993. The pier extends just over 800 feet into the Atlantic Ocean. Located at or on the pier: tackle shop, gift shop, restaurants. South of Surfside Beach, this historic fishing village is known as the Seafood Capital of South Carolina. 4017 Deville Street, Myrtle Beach - a place where you can experience exceptional shopping, dining or just browsing in a beautifully-designed village setting. 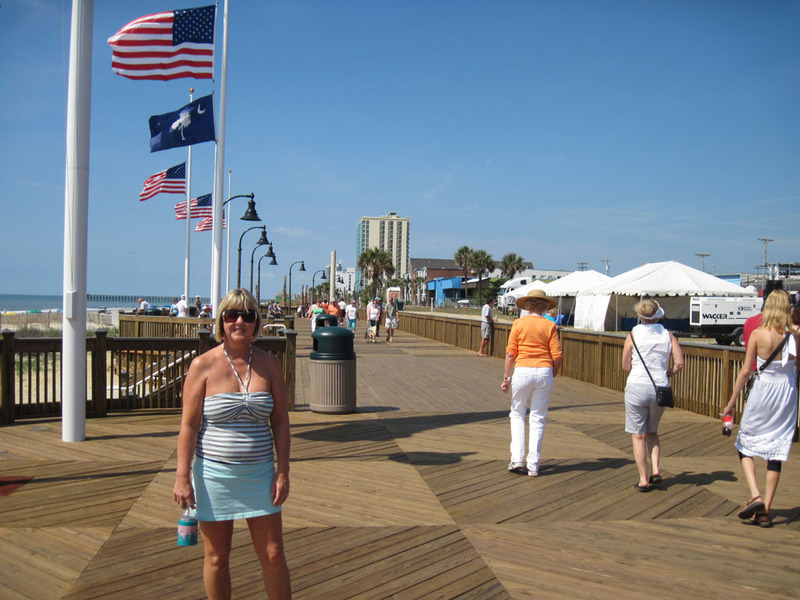 The 1.2 mile-long Myrtle Beach Oceanfront Boardwalk and Promenade traverses through the sand from the 14th Avenue to 2nd Avenue Pier in Myrtle Beach. 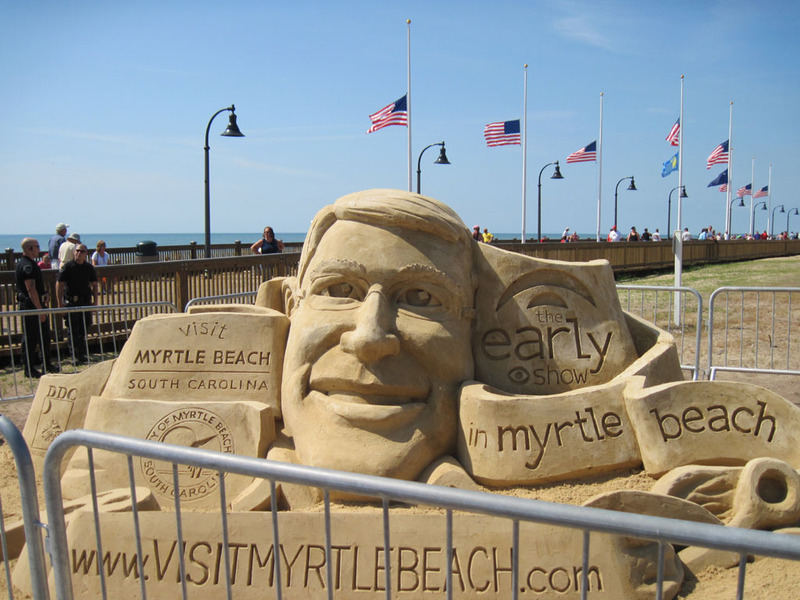 The Myrtle Beach Boardwalk will be home to festivals and events all summer long. 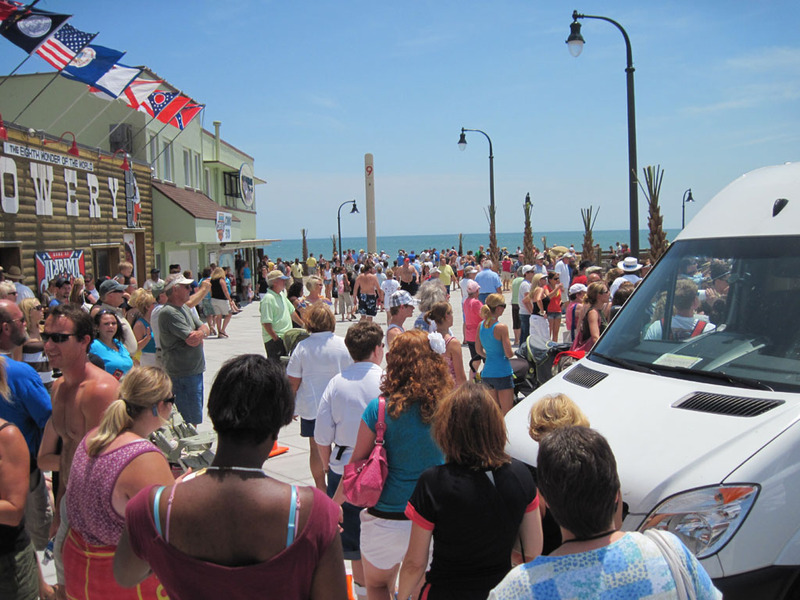 The boardwalk provides oceanfront views of the pristine beachline, numerous shops and restaurants. Although just opened in May 2010, the Myrtle Beach Boardwalk has already been named the Number 3 Boardwalk in the United States by National Geographic Magazine! 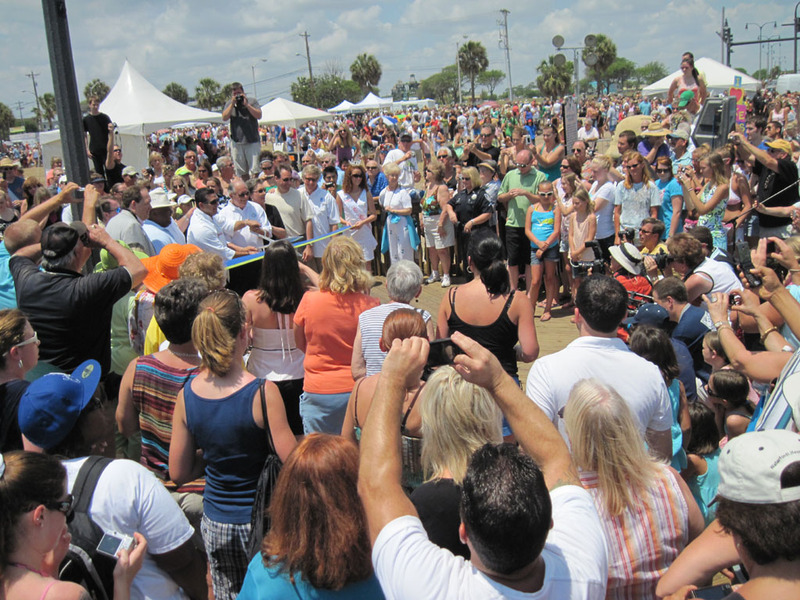 Barbara and I were there for the Grand Opening on May 15, 2010. The Myrtle Beach SkyWheel, which is located at the Oceanfront Boardwalk and Promenade, is an experience as grand as the magnificent Atlantic Ocean it overlooks. It reaches an elevation of 200 feet above sea level and is the only observation wheel of its kind in the US. The attraction boasts 42 climate controlled Swiss-manufactured fully enclosed gondolas and an impressive, one-of-a-kind LED lightshow to be held nightly. 1931 Brookgreen Drive, Murrells Inlet - In 1931, Archer and Anna Hyatt Huntington founded Brookgreen Gardens to preserve the native flora and fauna and display objects of art within that natural setting. Today, Brookgreen Gardens is a National Historic Landmark with the most significant collection of figurative sculpture in an outdoor setting by American artists in the world and has the only zoo accredited by the Association of Zoos and Aquariums on the coast of the Carolinas. 1325 Celebrity Circle, Myrtle Beach - Broadway at the Beach is home to 19 restaurants, more than 100 specialty shops, two movie theater complexes, a nightclub district and theaters that feature live shows and other major venues. 8901 North Kings Highway (Hwy 17), Myrtle Beach - The Carolina Opry Theater is home to the best shows on the Grand Strand. The theater presents three award-winning live entertainment experiences, The Carolina Opry, Good Vibrations and The Carolina Opry Christmas Special. The shows feature two hours of critically acclaimed music, comedy and dance in a 2,200-seat theater with state-of-the-art lighting and sound. 4898 Hwy 17 South, North Myrtle Beach - Located along the Intracoastal Waterway in beautiful North Myrtle Beach, Barefoot Landing naturally combines beauty and nature with the fun and excitement of shopping, dining, entertainment and special events for the entire family. A stroll along the boardwalk or the dock is reminiscent of an old fishing village.